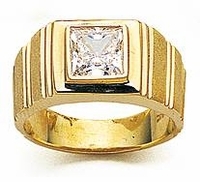 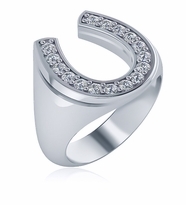 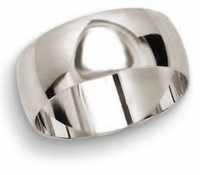 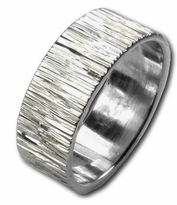 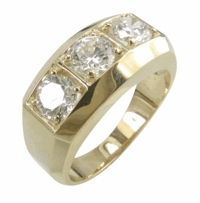 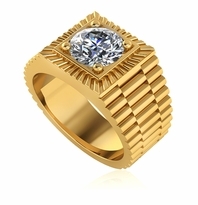 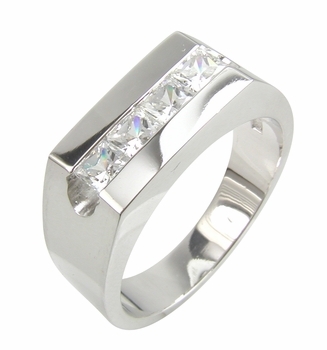 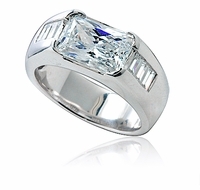 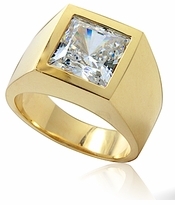 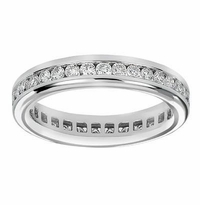 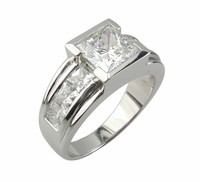 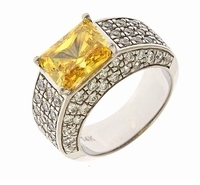 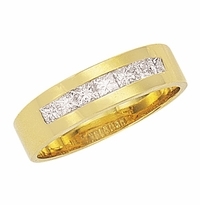 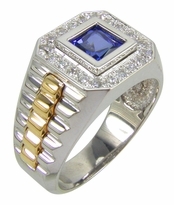 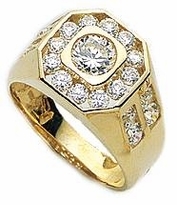 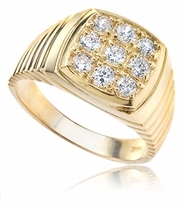 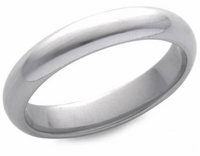 High Quality Cubic Zirconia Men's Rings! 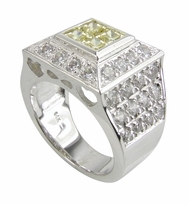 Our Cubic Zirconia Men's Rings Collection is second to none. 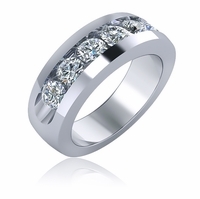 Ziamond's men's cubic zirconia ring collection features affordable designs for men set in quality mountings and our high quality hand cut and hand polished Russian formula cubic zirconia stones. We have kept in mind today's gentleman, a man who is stylish, confident and hip to the men's fashions and men's accessories of today. 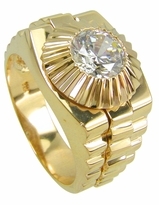 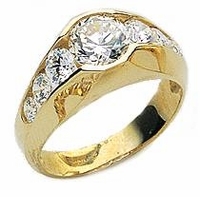 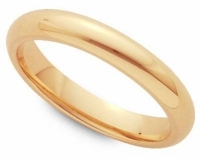 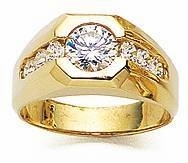 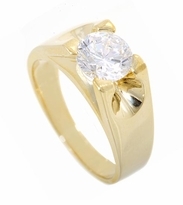 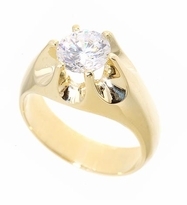 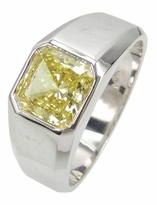 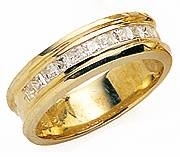 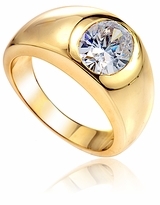 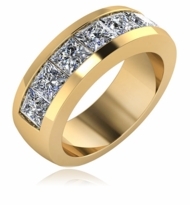 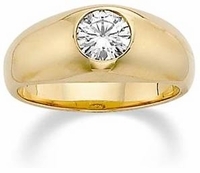 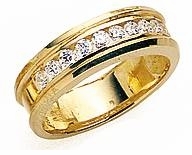 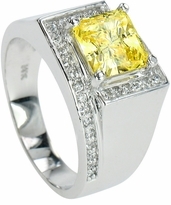 Various stone color options include man made ruby red, sapphire blue, emerald green, diamond look canary yellow, and diamond look pink in addition to metal options that include 14k white gold, 14k yellow gold, 18k white gold, 18k yellow gold, and luxurious platinum are available for our men's cubic zirconia rings. 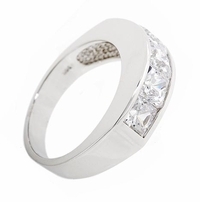 Smaller and larger ring sizes and carat larger and smaller carat sizes other than what is displayed are also available via special order. 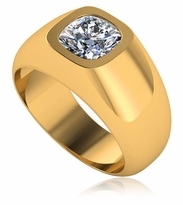 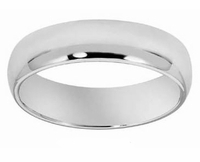 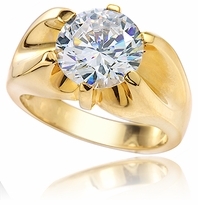 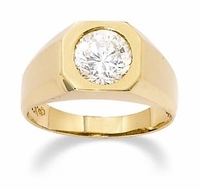 If you do not see a man's ring design you love, we offer custom design services to custom make that special men's cubic zirconia ring that you had in mind. 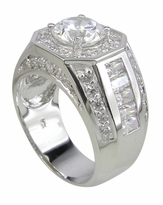 Please call 1-866-942-6663 for further assistance or Live Chat with one of our knowledgeable representatives.